For the past 2 weeks or so, I’ve had the pleasure of having Michelle Obama in my car for company. She’s been there on the long drives to my workplace and back, the short runs to the grocery store and to school pickups. And I’ve throughly enjoyed listening to her for close to 19 hours! 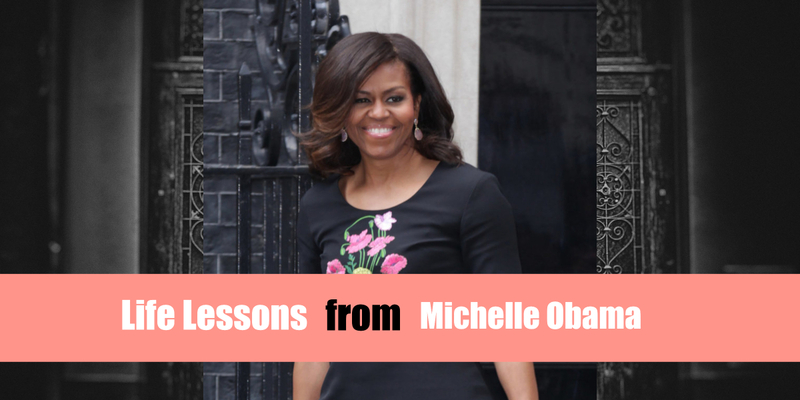 In case you didn’t get it, I have been listening to Michelle Obama’s book – Becoming. I generally don’t write book reviews as what each person can get out of the same book varies. Even a single sentence in a book can cause a ‘aha’ moment for someone vs an entire book not adding any value for another. I feel compelled to write about this one though. Not to review it per say, but to share what I felt about Michelle’s life story. The book is structured to take us through Michelle’s life all the way from her childhood years through college, marrying Barrack Obama and then her life in the White House. She bares it all! What resonated with me the most is her journey and her struggles. She grew up in a middle class family with a working dad and a stay-at-home mom who later started working. Her awareness of the financial situation in her family causing her not to ask for money for a field trip is exactly the same thing I went through during my growing years. The acute awareness that we did not have spare cash to throw around was something that I could never get out of my head. She followed the path that society prescribed – study well and get a good job. I did the same. The only thing I knew in my growing years was how to study. She realized a few years into a high paying law career that there was more to a profession than just the money. Same with me. The kind of work and the contribution to the larger good were things that began to bother me few years into my career as well. Her dilemma and frustration of having a spouse who traveled significantly or was not available enough for the kids is another thing I resonate with. Are you a parent first or an individual with a bigger purpose? A question I have asked myself umpteen times when I have felt torn to make decisions to chose between the kids or work. Supporting a spouse who has larger than life ambitions and noble dreams leading to sacrificing family times and family/relationship dreams is an herculean task! And Michelle has done that gracefully! Throughout the book she reminds me of how ‘normal’ she is – just like any other woman, any other working woman, any other mother, any other wife, any other human experiencing some life-altering moments, experiencing things that very few people in the world would ever experience. She shares examples of her humanness throughout the book – from hugging Queen Elizabeth which is apparently frowned upon to sacrificing her need to sit on the balcony in order to avoid causing security issues, her craving to have a date with her husband just like any other in-love wife. I was reminded many a time to view everyone around me as humans with needs and desires and struggles like everyone else. everyone has their own struggles – doesn’t matter if you live in the White House or a regular suburban neighborhood. as a mother, it’s never going to be easy balancing raising good kids and growing professionally. as a wife, tons of sacrifices are inevitable. It takes a lot of work and commitment to make a marriage work well. as a professional, there are different ways to get to where you want to be but it starts with understanding and figuring out what drives you and how you want to add value. as a human, to never forget who you are and do the best you can with what you have. We are constantly growing and evolving in this journey while becoming who we are! An apt title – Becoming!